so you can focus on the patient. Prescribing for drug dependency is complicated. ScriptBase reduces errors, prescription fraud and stress! How Can ScriptBase Help You? The clinical management of drug dependency requires complex prescribing regimes, non-standard prescription forms and compliance with strict regulations. Standard patient management systems are not designed to support prescribers treating these patients - which is where ScriptBase comes in. ScriptBase solves complex interval prescribing regimes and automates the dose adjustments around holidays that burden handwritten prescriptions. ScriptBase is available on a 'try before you buy' basis; with a fully functional version available for a free sixty day trial. Have any questions? Drop me a line and we can chat on the phone. ScriptBase frontpage - listing of scripts due to print. Automatically adjusting dispensing around holidays. 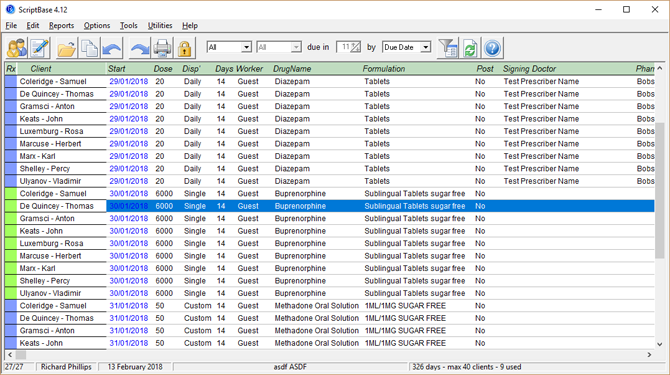 Enabling automatic dose reductions to specified doses or dates. 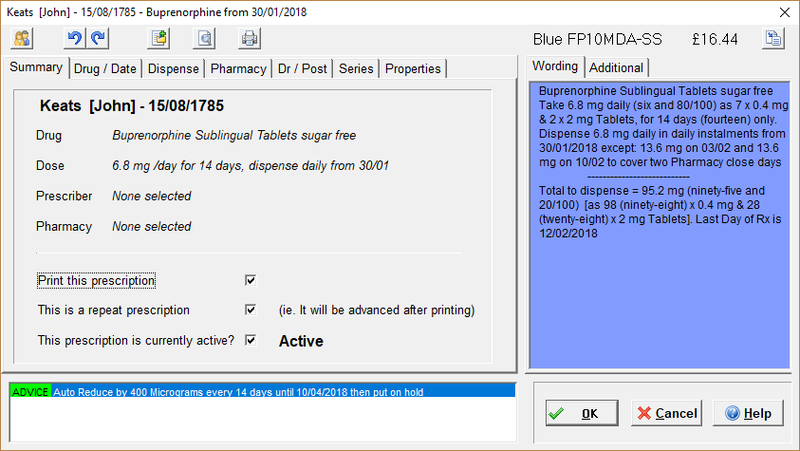 Displaying actual prescription wording real-time as you adjust the treatment regime. Validating prescriptions against statutory regulations, NHS guidance and even your clinic's policies. Database can be amended as new prescription drugs become available. Straightforward interface for fast learning curve. Comprehensive help at the click of a mouse. 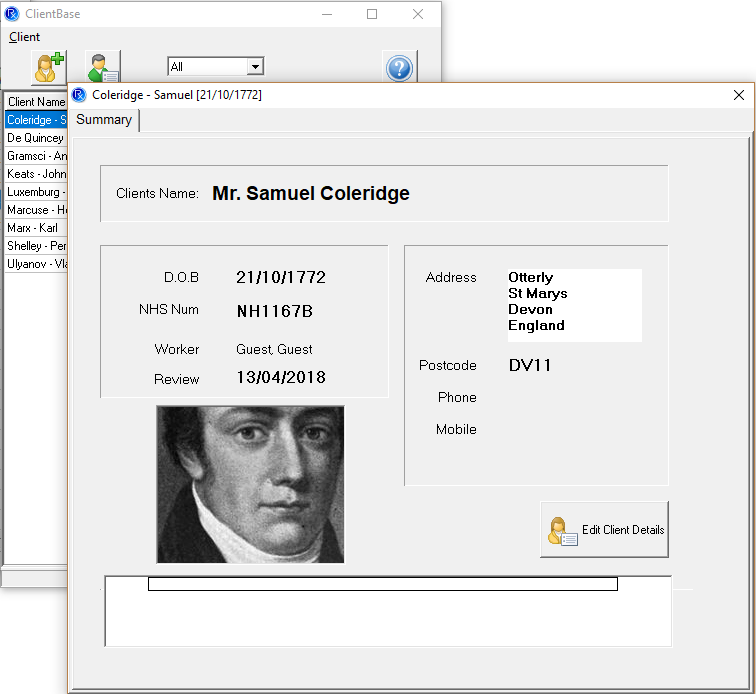 Client list and editor for individual client record. Ready to solve your prescribing headaches? 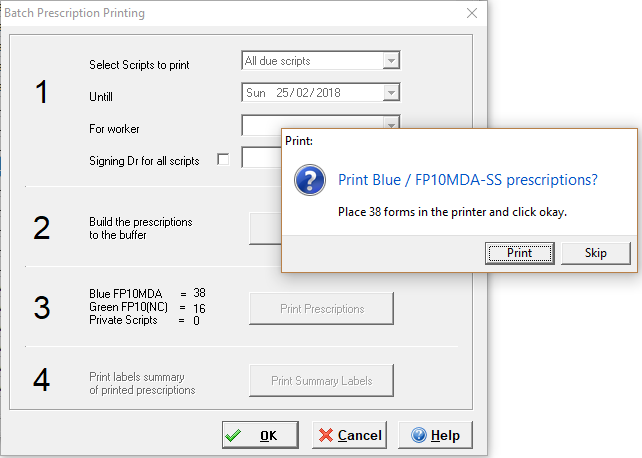 Many millions of prescriptions have been printed using this software. Try ScriptBase in your clinic now!